The retreat was facilitated by Sem. Jim Vincent P. Largo, Sem. John Oliver O. Delantar, and Sem. Ernie G. Sanchez of the Holy Rosary Major Seminary. Sem. Jim opened the retreat by discussing the biblical story, “Road to Emmaus” in relation to the retreat’s theme. 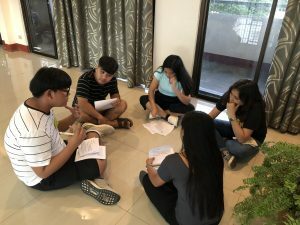 In this session, he asked the participants for specific moments in their lives wherein they may had lost the virtues of Hope, Faith, and Charity, and how they were able to retrieve said virtues and to keep them alive in their respective lives. The student leaders were tasked to draw their own “Road to Emmaus” signifying their journey as a person and as a student leader. Sem. Oliver presided over the next session, which highlighted the importance of hope in the life of a student leader. He shared his personal experiences as a former student leader of Ateneo, recalling the demanding life of a student leader from preparing concept papers to balancing his academic life and social life. 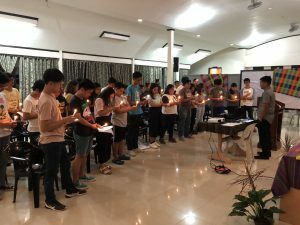 He urged the student leaders to “look for the reason why they chose to serve their organizations in the first place and hold onto that reason” whenever they lose hope in themselves. Sem. Jim gave a talk using the story of the Annunciation as the focal point of faith. He encouraged the students to have faith in themselves amidst the challenges they face; he advised them “to take responsibility to their response to the call of service”. 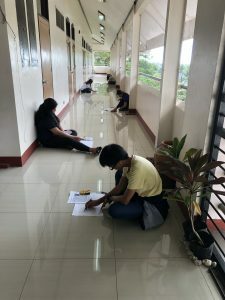 The participants were given a task of drawing symbols to connect each symbol to that of their peers to form a “map”; the activity was alluded to the experience of Mary wherein students accepted the task even if it deemed impossible to do. In that evening, the student leaders then had their Holy Hour and Confession presided by Fr. Rex Luis Hidalgo. Each student was given the opportunity to reflect on their lives and to communicate with God through prayer. For the last session, Bro. Ernie discussed the importance of one’s personal relationship with God to service and commitment in an organization. He reminded students that when God puts them in authority, they also receive His power which should be used for service. He urged the participants that an organization’s success relies on the commitment of its leader. The retreat concluded with the celebration of the Holy Eucharist, presided by Fr. Rex Luis Hidalgo. In his homily, Fr. 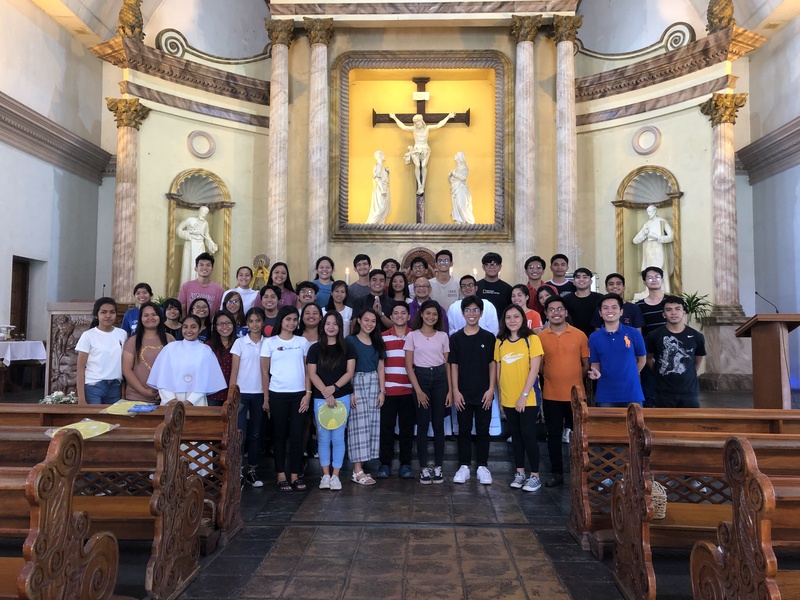 Hidalgo instructed student leaders to let go of their pride, worries, and distractions in order to let God in to be the center of the lives as student leaders. He also reminded the participants to prepare themselves for coming of Christ.